If this catches on, goodbye: Donald Trump, the poor underdog, with just a small seven-figure loan from dad. Wednesday's "Late Show with Stephen Colbert" was taped before the GOP debates, but Colbert still found a way to smack down frontrunners Ben Carson and Donald Trump. Trump's recent clever bash on Ben Carson's religion as a Seventh Day Adventist has been making the news despite Trump's failed attempts to swear he wasn't attacking Carson's religion. Colbert says Trump's "I just don't know about them" is pretty much like your aunt after a few cocktails saying "I just don't know about these Jews." The real attacks from The Donald came surrounding Carson's pep as a candidate. The seemingly sleepy former neurosurgeon is about as soft-spoken as Trump is loud. Carson's sparkling droopy lids are no match for Trump's mouth, however. Colbert agrees, saying that energy is absolutely the most important thing in a leader. 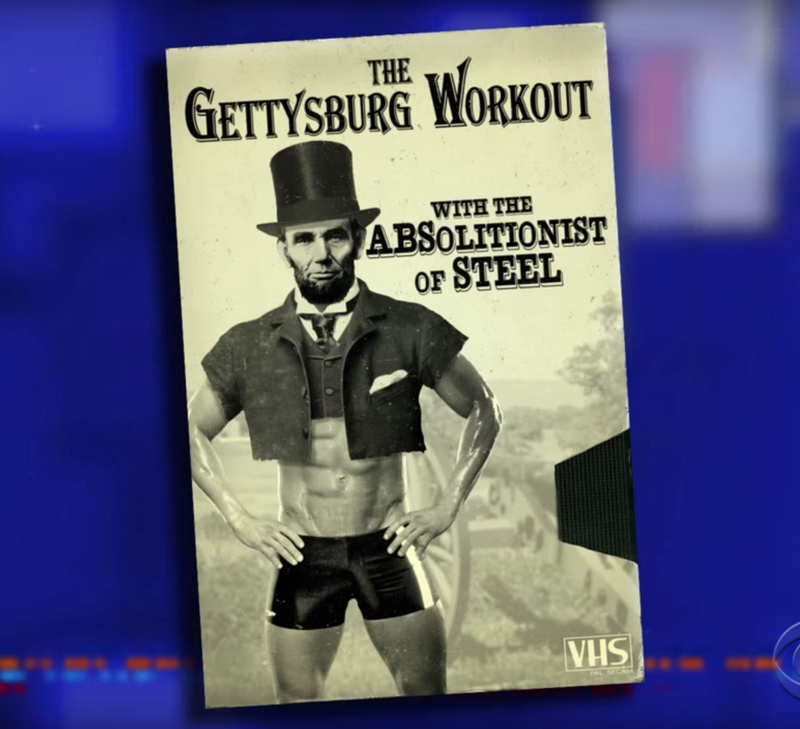 "Who can forget Abraham Lincoln's Gettysburg workout tape: With the Absolitionist of Steel." Carson, of course, shot back with stories about being super badass in his youth and trying to stab some dude. (A claim that is now being questioned. But Colbert sympathized because he made it onto his high school's stabbing team when he was just 14. "Trump better watch himself, because if he comes after Ben Carson, the good doctor will write him a prescription for 10 cc's of vitamin knife." In the second segment of Colbert's show, he mocked Trump for falling in second to Carson in Iowa saying that it is the first time a billionaire is coming in as an underdog for anything. But this is the Trump story. He's had such a hard life with his father only giving him a million dollars and being forced to start out in Brooklyn instead of the upper east side. It's so tragic. That poor man. "The classic story of 'Riches to Richer,'" Colbert joked. "Donald was just a humble boy from the outer boroughs who wanted nothing more than to escape that provincial life and make his way in the big city. But his old man stood in his way." Colbert said it was brave for Trump to move out to an area that they didn't already own "leaving his family blocks behind. The young Donald took passage across the stormy seas of the East River with nothing more than a million dollars in his pocket and the shirt on his back. The other shirts were still at the tailor." Thankfully Donald has made it. "Through hard work, perseverance and an accountant well versed in bankruptcy loopholes, he became the great, magnanimous billionaire we know today." Now that, folks, is The American Dream.